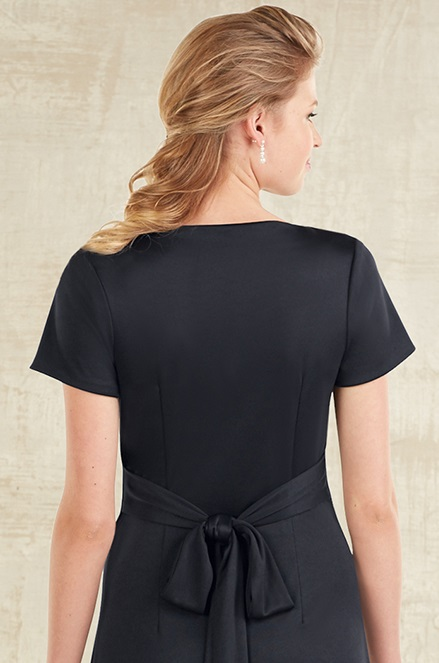 The Mara formal gown is made in our machine washable stretch knit. With no zipper, you can just pull on the dress and go. The front princess seams form slimming lines all the way down to the floor length skirt. A handy tie at the waist can give you the perfect tailored look. Tie it in the front, the side, or in the back.